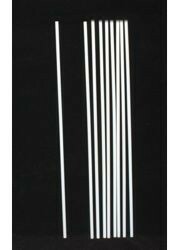 |< << 1 2 3 4 5 6 >> >| Displaying 41 to 60 of 101 Items Found. 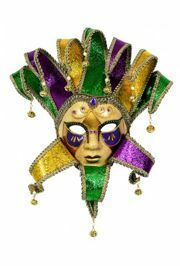 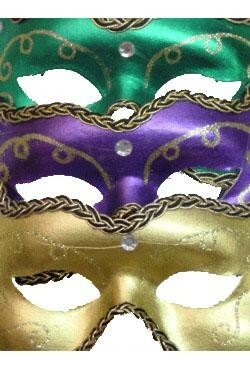 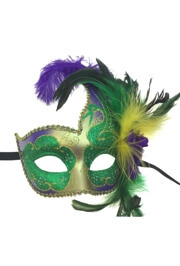 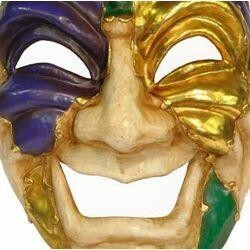 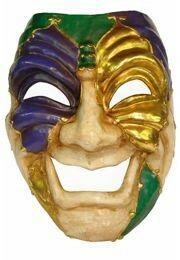 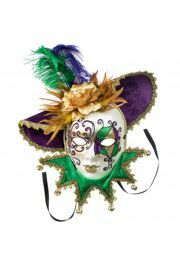 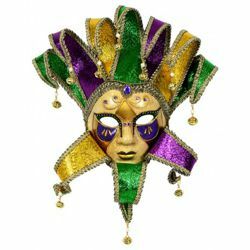 Mardi Gras purple, green and gold hand painted paper mache full face Venetian masquerade mask with feathers and with hot stamp material hat. 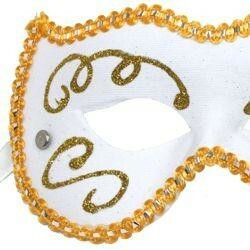 The mask is decorated with bells and rich fabric outline. 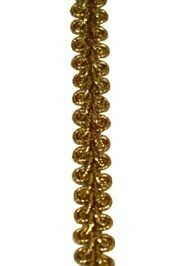 Silk ribbon tie strings are attached. 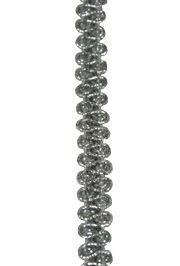 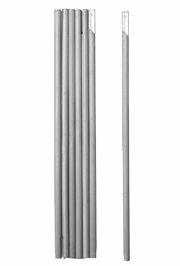 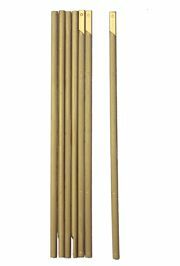 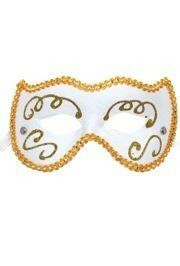 Has white satin loop for hanging. 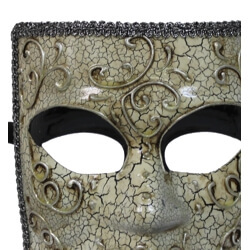 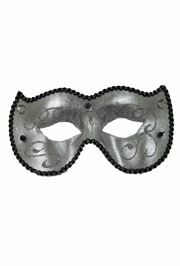 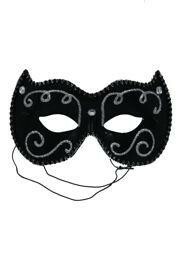 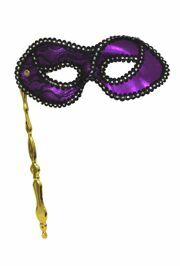 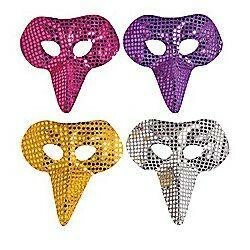 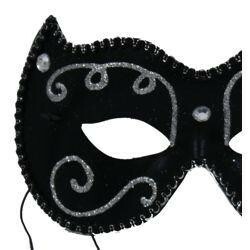 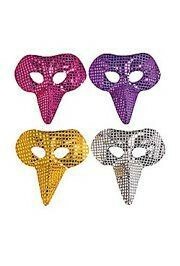 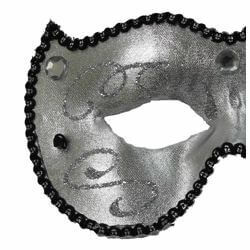 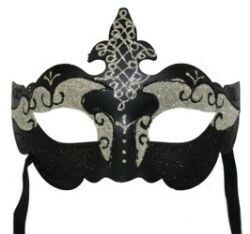 This black Venetian masquerade mask has silver glitter scrollwork and acrylic stones. 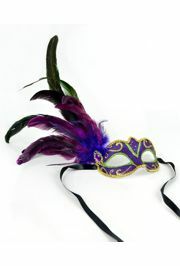 It also has a fabric trim and cloth backing for comfort. 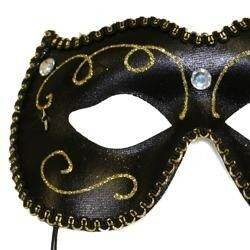 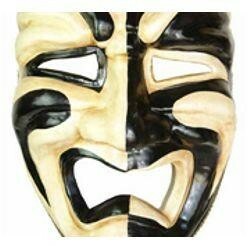 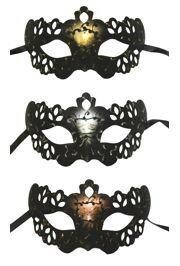 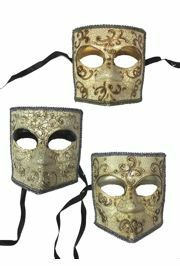 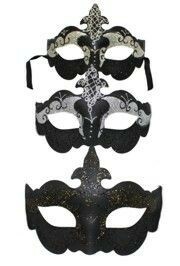 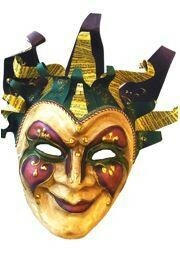 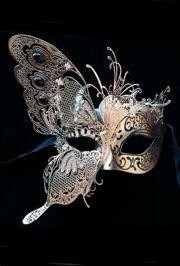 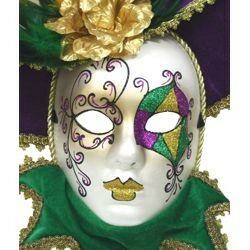 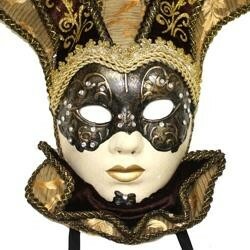 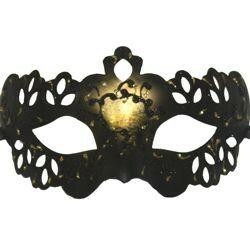 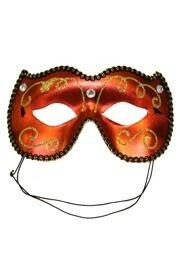 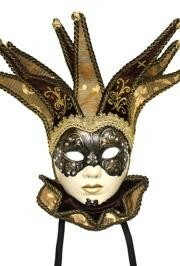 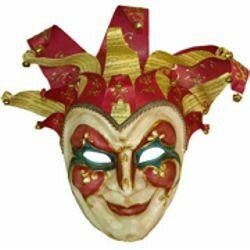 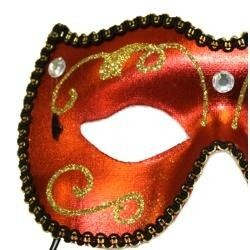 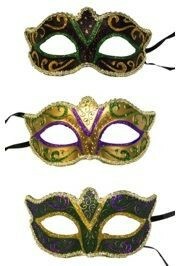 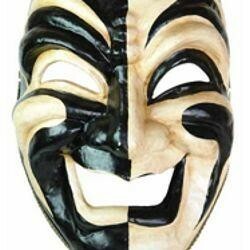 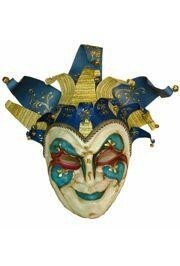 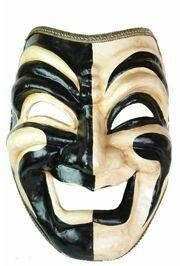 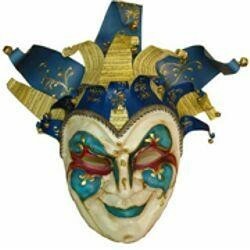 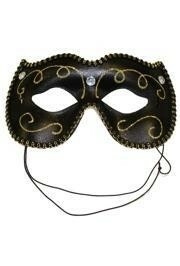 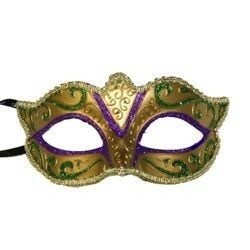 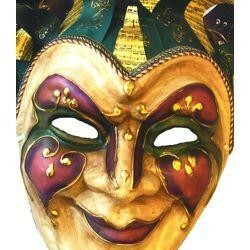 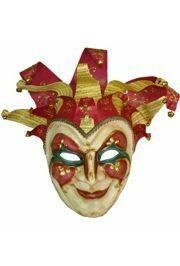 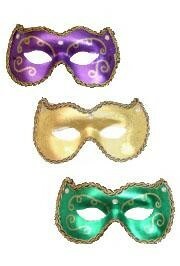 Black, gold, grey, or orange hand painted paper mache Venetian masquerade mask decorated with glittery scrollwork. 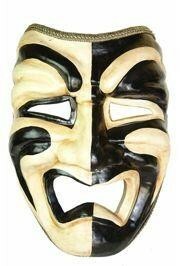 No style or color choice.